It’s that time of year again. Grand Designs Live has made it back to Birmingham, bringing new designs and the hottest trends of 2016. The exhibition runs over a 5 day period, from the 19th – 23rd October, offering a great opportunity if you are doing up your home. Bi-Folds are quite popular at the exhibition and really shine in the latest designs. Their unique glass panels and modern look were first seen in London houses. Many people have become quite fond of the style which has seen the trend grow and spread throughout the country. We understand that Grand Designs have a great range of Bi- Folds at a great value. However, we believe our Doors and Windows are of a very high standard, if not better. Therefore we’re willing to beat any quote that you receive from Grand Designs Live. Simply contact us here. Our German manufactured doors are of the very highest quality, adding style, durability, and a 2016 modern feel to your homes. Bi-folds are very much known for their versatility. They can be installed in almost any home. 2016 interior design and modern architecture has seen many houses use a combination of materials to create a unique home atmosphere, like no other. For example: combining Victorian terrace style houses with modern Glass extensions. Our selection of doors come in a wide range of finishes, however, aluminium is our speciality. Our ultra -slim 120mm door to door face width, adds a touch of class and comes with a 10-year guarantee. Investing in Bi-Folding door systems is a good way to save money in the long term. They are extremely stylish and require minimal maintenance; we can guarantee that these doors will last for decades to come. 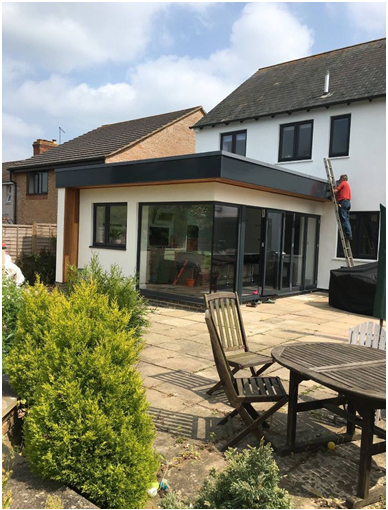 By following the process on our online quote system you will be presented with 4 colour options, RAL 9010 white, RAL 9005 Black, RAL 7016 Anthracite Grey & any other RAL colours upon availability. We’re very proud of how far we have come on becoming the leading Schuco distributors and installers in the UK. While you’re here, why not take a look at our sliding doors too…. So what are you waiting for, complete our online quote today or get in touch. Kent, B.-F.D. (2013) Bifold doors, windows & roof lanterns in Kent. Available at: http://bi-folddoorskent.co.uk/ (Accessed: 21 October 2016). 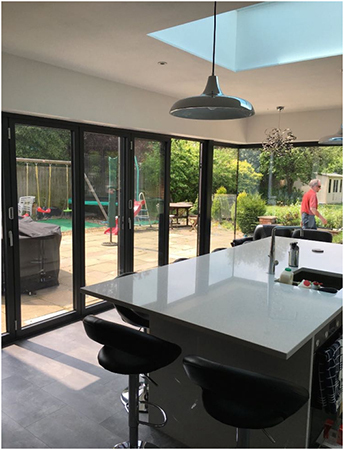 Product review: Sliding folding doors / bi-fold doors (2014) Available at: http://designfor-me.com/advice-and-tips/product-review-sliding-folding-doors-bi-fold-doors/ (Accessed: 21 October 2016).